So exactly how many photos have we alredy taken for the Discovery Foundation Awards project? How many does it take to complete this type of project? Well, let me tell you, it’s a lot! So far we have taken over 3000 photographs at more than 20 hospitals, and we expect that the final count will be somewhere around 10000 exposures. That’s not counting “behind-the-scenes” shots taken by Michelle, Marinda and even the occasional passing nurse or bystander. To give you an idea of why and how the numbers get that high, let’s look at some typical photoshoots during this project. There are over 50 awards, some of them awarded to organisations or teams, others to research projects or individual doctors. We usually set up the formal portrait shoot first. We photograph each doctor individually, typically taking anywhere from 50 to 200 exposures from different angles and using different poses. After the individual shots, any that received an award as a team are photographed together, generating a similar batch of exposures. Sometimes, there there will also be shots of the hospital management, depending on their involvement in promoting the projects or individuals receiving awards. Once all the formal portraits are done, we follow the award recipient around while they carry out some of the normal activities involved in their work. This usually takes about 3 hours in the hospital ward, clinic or laboratory, sometimes with additional time in the operating theatre and again generates a bunch of exposures. Finally, back at base, we put together a set of contact sheets with all the exposures for a specific recipient or project and this goes to the client - Discovery - to choose their favourites. 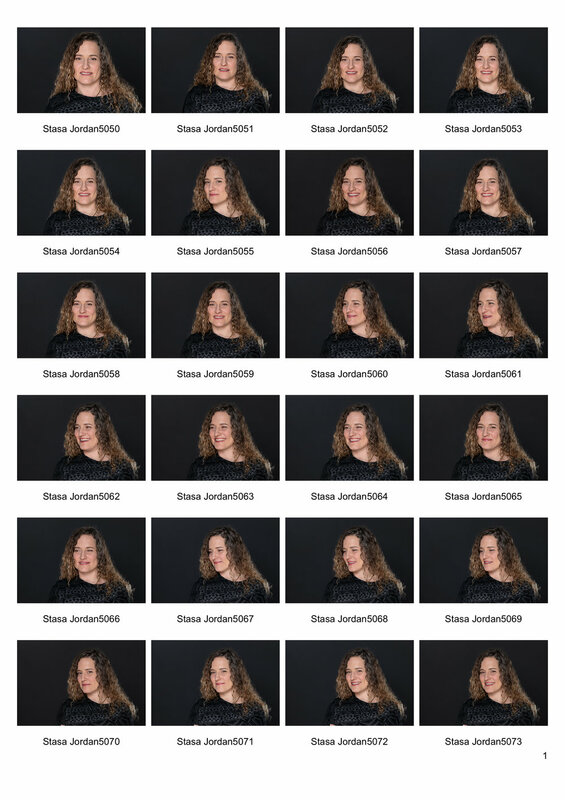 For a single award recipient - the South African Breastmilk Reserve and their Executive Director Staša Jordan - we took 270 exposures, shown in the contact sheets above, from which the client selected their 12 favourites for editing and publication.